We are asking all Tampa Bay area kiters, instructors, and kiting related businesses to complete this 5 minute registration. Please register with your correct, verify-able information (name, address, phone). You will choose a USERNAME (line 3) to use throughout the site, and have total control over your privacy settings. We hope that the general demographic info will assist in maintaining/ increasing access in the future. We ask for your help in circulating this message throughout the local kiting community so that we may be able to get everyone registered and participating in our local association. I will send this notice out several times via Facebook and E-Mail, so please pardon the ‘spam’ if you receive multiple notices. 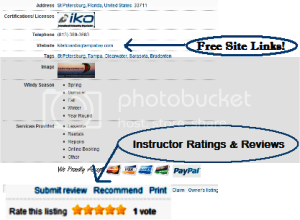 ALL LOCAL INSTRUCTORS & KITING RELATED BUSINESSES- There’s plenty of free tools, advertising, and resources for you as well. Kite4Life is a division of Action Sports Foundation, a 501c3 charitable organization based in St. Petersburg, Florida, and is a collaborative effort among local kiters, wakeboarders, and watersports friends from around the Tampa Bay area. 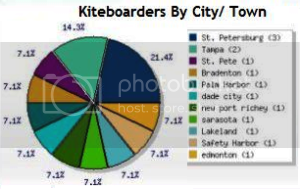 Last edited by Kiteboarding Tampa Bay; 09-19-2011 at 01:06 AM.